esoteric enterprises | QuantumPhoenix.net – Esoterica, Paganism & Ritual Magic. PF-London 2014 Conference Programme- Magical Pathways. Facilitated by Heathen organisation The Kith of Yggdrasil. Priestess of the Fellowship of Isis and longstanding supporter of the Pagan Federation, Liz Le Comber, discusses her work in the Pagan Prison Ministry and how others can get involved. In paganism, the natural landscape of the countryside is often seen as more inherently magical than the built environment of towns and cities. The psychogeographer, by contrast, finds just as much wonder and mystery in the urban landscape. Lucya Starza talks about the tools of psychogeography and what they offer the spiritual quester in London. A look at a variety of esoteric ways Ken has explored both personally and professionally since the 1970s. This overview will highlight each path’s strengths and weaknesses (for him) concluding with a demonstration that a wheel can turn full circle to where it first began. Carrie Kirkpatrick is a priestess of Crossroads Magic and will take you on a journey to meet Hecate and Papa Legba, Goddess and God of the Crossroads from the Ancient Greek and Voodoo traditions respectively. Through guided pathworking, a connection will be made and attendees invited to make offerings at the Crossroads. – Gender and sexuality in contemporary Paganism: how we got to where we are, and where we might go next. A look at the historical dimensions of gender and sexuality in Paganism, and how we can become more inclusive towards gender variance and sexual diversity. Andrew has for some years been conducting his own research into Anglo-Saxon England and writing historic, rhythmic, rhyming poetry against this. ‘Magic in Anglo-Saxon England’ is a talk about the use of ritual, charms and magic in Anglo-Saxon England drawing from various surviving manuscripts, including the presentation of a reconstructed charm and the first public presentation of a translation of a heating charm. The talk will also include some of Andrew’s historical poems. The runes are most often associated with divination, but that’s not all they can be used for. The author of Odin’s Gateways introduces you to the energies of the runes and shows you how you can start to work with them. – Shamanic trance & dance workshop. (Please note: there is a participant limit due to limited space). Dance is a doorway to the spirit within, and to dance oneself into a state of trance is to connect completely to the healing powers of spirit. This presentation will include an illustrated talk on the figure of Elen, her ways, shrines and mysteries, and her aspects as goddess, guide, and nature spirit. This will be followed by a visualisation experience and talisman making, where each participant can create and charge their own magical artefact of Elen of the Ways. The Tree of Life is one of the most important concepts in Hermetic magick. This talk will explore its origin and structure and show how it can be used for meditation and ritual. The history and present of LGBT people and forces in pagan and magical paths. Experienced priestess Mary Rands discusses the impact of losing someone significant with whom you shared your magical path and how to deal with such a loss. Belief as a tool – How to create new paradigms for magical use. This talk outlines the basic principles of Egyptian Magick and its application to the practice of ritual today. Freedom, Responsibility, Know Thyself and Some Other Basic Ideas. For many believers the Olympic Religion is very much a more personal path to the divine. In this talk James explores some of the basic ideas of this more personal religion and suggests that along with greater personal freedom comes also an ethical personal responsibility. ”Know Thyself” was written above the doors of Apollo’s temple in Delphi – but what does this really mean? Socrates suggests one possible answer for us to consider and James will outline why Socrates thought it so important to “Know Thyself” before starting any spiritual path such as the Olympic Religion. Paul Mitchell is a satirical pagan folk musician. For several years he’s been playing his stuff around campfires and a conference here or there. His songs are about ‘the Pagan Community’ and his experiences of them. In the past audiences have laughed, danced, cried, and shuffled with amused embarrassment at the words he offers. Don’t go along to listen if you have no sense of humour and think paganism is frightfully serious. Do go along if you can laugh at yourself. LOVE STREET – a five piece, multi-instrumental and vocal band, described as, ‘a unique combination of everything from wailing rock guitar to beguiling fiddle and mandolins, resulting in a musical experience that both draws from the past and yet has something new and fresh to say’. The Eleusinian Mysteries were initiatory ceremonies held every year for the cult of Demeter and Persephone based at Eleusis in ancient Greece. Of all the mysteries celebrated in ancient times, these were held to be the ones of greatest importance. The rites, ceremonies, and beliefs were kept secret and consistently preserved from a hoary antiquity. The initiated believed they would have a reward in the afterlife. Since the mysteries involved visions conjuring of an afterlife, some scholars believe that the power and longevity of the Eleusinian Mysteries came from psychedelic agents. The lesser mysteries were probably held every year, the greater mysteries only every five years. This cycle continued for about two millennia. Under Pisistratus of Athens, the Eleusinian Mysteries became pan-Hellenic and pilgrims flocked from Greece and beyond to participate. This led to a vast increase in the number of initiates. The only requirements for membership were freedom from ‘blood guilt’, meaning never having committed murder, and not being a ‘barbarian’ (being unable to speak Greek). Men, women and even slaves were allowed initiation. From this Aleister Crowley developed The Rites of Eleusis, a series of seven plays, each centred on one of the classical planets of antiquity. They were dramatically performed by Aleister Crowley, Leila Waddell (Laylah), and Victor Benjamin Neuburg in October and November 1910, at Caxton Hall, London. The Rite of Jupiter is the second in the series, but even in this rite, when the Supreme Power is declared, He is too exalted for anyone to approach him; it is only by the Divine Spirit that He is made manifest; and this manifestation only takes place in the God-man whom some call Iacchus (Dionysus). Sometime in November 2011 our producer (playing CICT) became inspired, after a chance conversation in a pub, to perform the Rite of Jupiter at a private celebratory event in 2012. Permission for the public performance of the Rite was sought from, and granted by, Ordo Templi Orientis, holders of the Aleister Crowley copyrights. Are you in need of a FREE website..to get your community or personal venture started? Well.. Gaian Times e-Magazine (registered not-for-profit) is providing FREE brochure websites.. to / group venture..or to show case their art & Craft/ product/ services..
Here’s more info.. Don’t Delay,.just get in touch ..via the contact form in here..–> http://gaiantimes.com/html/gt_social_enterprises.html (also more details, T & C). An internet presence is essential – for any business, organisation, venture, club, society, group or other entity! In the modern era, websites & Social Media pages are your piece of `virtual land’. Registering, owning and regularly managing these `online properties’ is an absolute `must’ for anyone and everyone establishing a small or large business venture, or creating an online platform for a Community! `EcoWeaver’ aims to help and support small pagan & esoteric related businesses, and have kept our fees quite affordable for those starting up. EcoWeaver has 3 major areas of provisions..
Our Affordable Fees start from £5 (for creating quick Logos & banners, using photos you provide). Website packages start from £89 for a 5-page site (creation and one-time upload to your site). 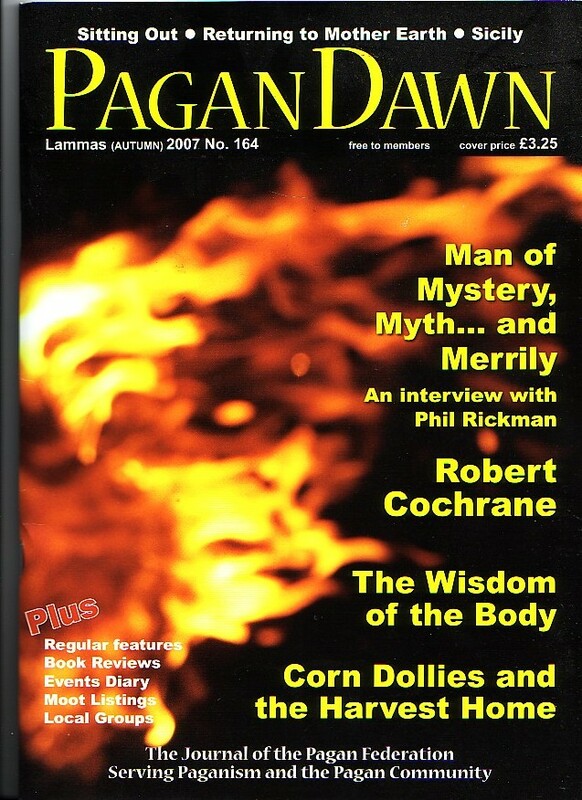 Pagan Dawn autumn 2007 -No164 (published by The Pagan Federation). As some may know, I started organising Open rituals & events for the London District of The Pagan Federation, from December 2004, till recently (Spring 2012). But of course, apart from the hundreds of documents, web entries, e-mails and flyers and programmes that I myself had created for all those events, there is no `external’ evidence (Am going by the strict wikipedia guidelines! For any claim to be valid, some entry bya 3rd party publication needs to be provided). This is a key principle for all budding Esoteric Entrepreneurs – especially Authors, Writers, Tutors, Public Figures etc. So me finding this Magazine is quite valuable indeed. 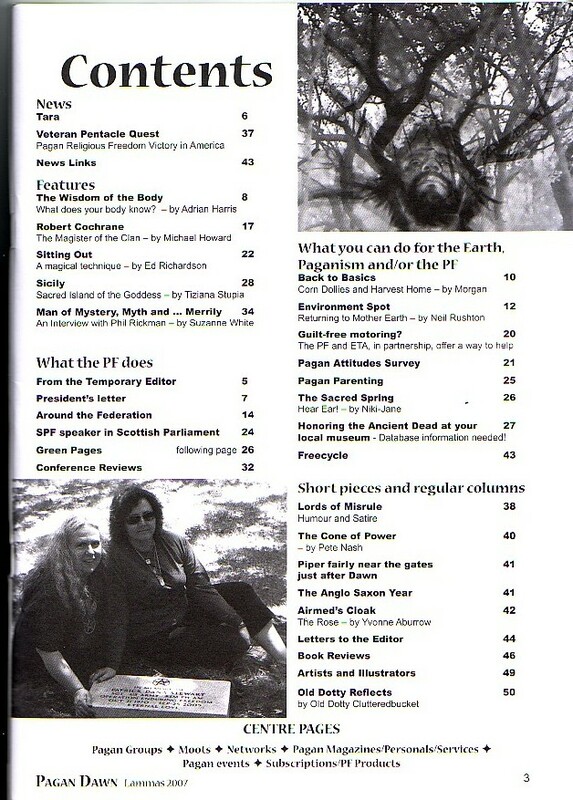 This single issue was edited by Kitty McIntyre before Sheena Morgan took over as Editor in the subsequent Samhain/Winter 2007 Issue of Pagan Dawn. In this the following items appeared that were relevant to me. Jean Williams’ account of the `Gaia3 Convention’ that I had conceived and organised (page 32 & 33) – where my then title as `London Events Organiser & Deputy District Manager’ is stated in print. Such published documents (3rd party) where one’s works are credited / cited – are important for any and all Authors, Artists & Experts. These all fall under`professional validations’ – and we do need them in the modern worlds, where trust & credibility building are important for our every ventures. So here are those pages I just mentioned. I say interestingly, because, that was 2007, and this is me now on the eve of 2013 – where I am planning to sell some of my old and new art works. Well, reality is, we all have to do something to earn a living – and to use the Spider analogy, we have to use our own resources to make that living.. A spider spurts its resin and spins a web – to catch its vital food. Likewise, we must use our skills and talents to create or provide things which in turn bring us an earning. I shall do a detailed blog – another time- under Esoteric Enterprises – on the now chiseled in stone event, Gaia3 Convention’ – how I conceived it, named it, came up with innovative ways of funding it (we had no money to begin with!) and how its unique themes and activities evolved. (Feature `Wyrd wall’ threaded through and became the 4th PF-London convention some 3 years later.. after Gaia-Fortuna & Gaia-Sol conventions). Proud to present the formal launch of the Esoteric Enterprises Initiative! This Introduction video that explains the Aims, Objectives, Networking, Rewards & benefits of this new Gaian Times Social initiative – created mainly for pagans, esoteric practitioners, New Age people, Spiritual &psychics who are looking to create or develop their esoteric business ventures, online presence, products and community services – with a view to wealth-creation for themselves and for their communities. Interested Pagan & esoteric people can go to the http://www. EsotericEnterprises.co.uk website and do an e-mail Opt-in to receive weekly, fortnightly and monthly bulletins and free tools/ tips on how to build online platforms, internet marketing, social networking, SEO and other techniques for building own enterprises! News is circulating on the internet platforms, that the Pagan Federation has made an appeal against the rejection by Charity Commission (UK). The website www.ThirdSector.co.uk has reported the news that Pagan Federation is appealing against the Charity Commission’s decision to reject the Pagan Federation’s application. “The Charity Commission rejected the federation’s application in October, arguing that it did not fulfil the ‘essential characteristics’ of a religion or its criteria for public benefit….. I was aware that the Pagan Federation had been rejected in its application to seek Charity Status the first time (years ago), and another application was being prepared by the Pagan Federation some while ago (December 2010). 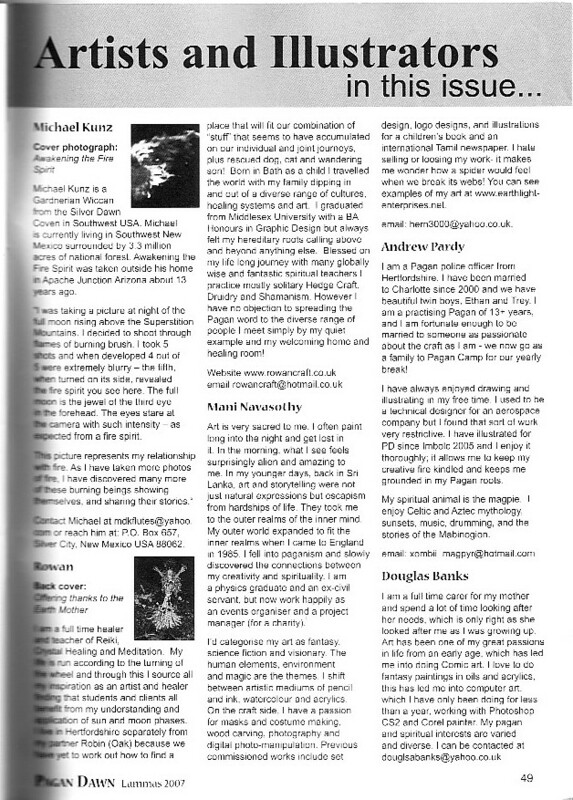 I was contacted by the Vice President of the Pagan Federation for some information on the Ope Rituals I was managing in London for Pagan Federation since December 2004. The VP’s request concerned outlines of whether the Pagan Federation asks for payment for these open rituals, are people let in free if they don’t have money and so on. I suppose it was about showing evidence of how the Pagan Federation serves the general public. A simple research on the Charity Commission’s website will show anyone that for an entity to be recognised as a Charity, it needs to show that the entity’s activities must be benefiting the public (`for the benefit of the public’ ). The Charity Commissions’ website gives several examples of `Objects’ (Objectives) which satisfy this requirement. Categories such as `advancement of religion’, `advancement of education’, `advancement of arts, culture, heritage or Science’ are some examples. I have been researching all these several years ago, when I was preparing to create Gaian Times – the eco-spiritual organisation (initially as a not-for-profit Company limited by Guarantee – very much like The Pagan Federation has been since year 2000). I am only guessing here – with my knowledge being specific to the Pagan Federation’s usual activities and organisational structure, it’s Constitution, its documentations at Companies House where any companies are registered (free for all to view), and my own research of Charity commission application guidelines. I suppose the problem that the Pagan Federation may have faced could have been in demonstrating how its existing practices, activities and Constitutions are serving the general public (bearing in mind it was created to be a campaigning organisation `to promote and defend the pagan traditions’ – which is applicable to a specific community (although it could be said that anyone who wanted to know about Paganism can enter it and benefit from it). Reading the online reporting at ThirdSector website, I found the following passage to be rather worrying. Why am I worried? Well, in the first instance, I do hope that this online reporting is a journalist hash-job of taking full explanations given by the Pagan Federation Officer and reducing it to a short quote, where valuable information is lost, as well as sentences become `out of context’. Otherwise this quote does not make sense. Why? Because The Pagan Federation is not and never has been nor ever will be – a religion! The Pagan Federation is an organisation that campaigns for pagan traditions, for pagan religions, for pagan people’s rights just as other people have their rights. If The Pagan Federation did indeed apply to become a Charity on the basis of it being a religion, of course it is not going to succeed in its charity status for that reason. I am aware that recently the Druid Network gained Charity Status – (No: 1138265 – THE DRUID NETWORK). Their primary activities are stated as, “INFORMING, INSPIRING AND FACILITATING DRUIDRY AS A RELIGION”. Now this is quite clever statement. It does not say Druidry IS a religion, or that the Druid Network is a Religion. Rather its activity is `Informing, inspiring and facilitating..’ a particular product…where the product being `Druidry as a religion’ – which implies…its campaigning Druidry as a religion. (It does not claim it already is). Furthermore, it does not seem to limit this campaigning (ie informing, inspiring and facilitating..) to a particular group or community. Anyone – general public- can be informed, inspired and facilitated to! I am not sure exactly what wordings were used in the Pagan Federation’s Charity status application – but I do fear that appealing on the grounds of definitions of what a religion is, and how paganism fits into all that is a long and winding road – can be full of many challenges. It is my suggestion that the Pagan Federation convenes a big ol’ committee meeting / Directors meeting/ members meeting to debate and discuss changes as follows.. I have been a member of the Pagan Federation for 15+ years, and been actively serving it for 8 years- organising those rituals, conventions, socials, picnics.. until few months ago. And though some `new radical elements’ within it now seem to have a hobby of attacking and bullying me in online platforms, I still have the best wishes and growth for the Pagan Federation. I think I promised a few Wiccan Elders that I would. ps. A few minority fail to understand that a personal blog is all about the person discussing, debating, offering views and generally being `personal’. This one is one of my personal broadcasting channels (my other platform is Gaian2012 – youtube channel). That reminds me, soon, I will be discussing (under Esoteric Enterprises) how everyone can and should utilize similar online-tools. `Esoteric Enterprises’ – a Social Initiative by Gaian Times’ – for Esoteric Practitioners & Pagan Business creators, online Publishers, Artists, Authors, Community builders, Sellers, Stall holders, Conference organisers, Self-employed people, Marketers & Entrepreneurs. The Aim is to become an online networking platform and directly help & support esoteric people in growing their own Enterprises, or develop their existing ventures. This of course enables them (you) fulfilling their hidden potential for wealth-creation and funding other charitable ventures or causes! (Pagan Charties, Eco-spiritual charities etc). Teach, train, mentor, share, explore and disseminate valuable business tools, techniques and ideas – directly to all those who subscribe to my Enterprise bulletins (blogs, videos, webinars, audio downloads, e-guides & Reports). 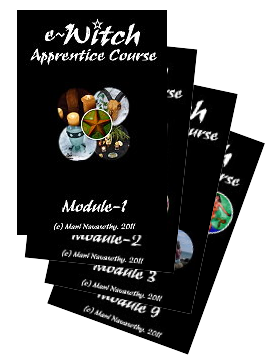 Learn up to date marketing methods and use it promoting and publicising your Esoteric ventures. Familiarise, customise and increase your online presence wisely in strategically planned manner (using Social media, Blogs, Videos, Webinars & websites). 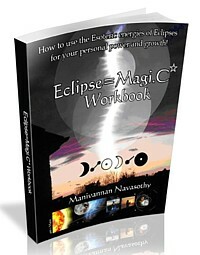 Plan your esoteric enterprises for short, medium and long term (3 months,9month, 1 yr, 2 yr, 3yr). Develop branding, logo and a strong identity. There will also be (as publicised months ago), free offers of websites for individuals, small shops, businesses etc…through Gaian Times initiatives. Gaian Times is a registered not-for-profit company limited by guarantee. Registered in England & Wales, UK.